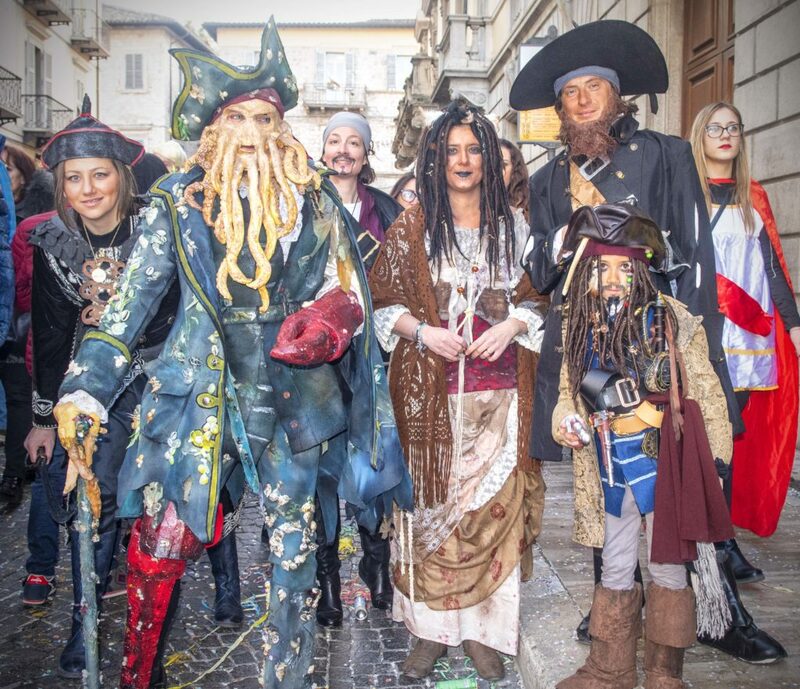 It has been Carnevale time in Ascoli Piceno. 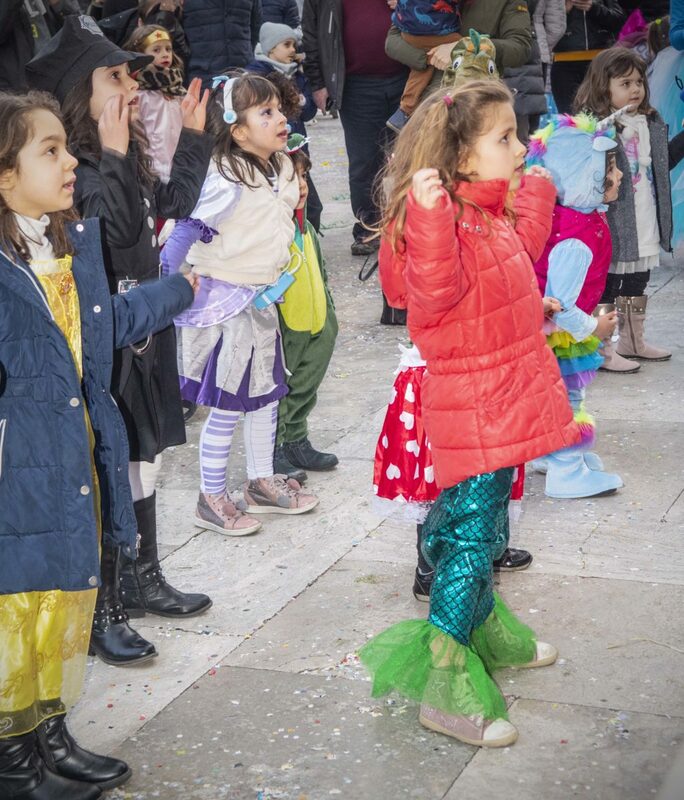 In the U.S., the New Orleans celebration of Mardi Gras is another iteration of raucous celebration that may have its roots in ancient, pagan celebrations in anticipation of the arrival of spring. Not long after Christianity made the transition from a persecuted religious sect to become the State Religion of Imperial Rome, the hierarchal structure of the Roman Christian Church was essentially all that was left of a coherent organization after the fall of Rome to the invading Teutonic hoards from the north. In time, the secular power of the Roman Christian Church continued to increase to the point where even the structure of the civil calendar was determined by the Vatican. 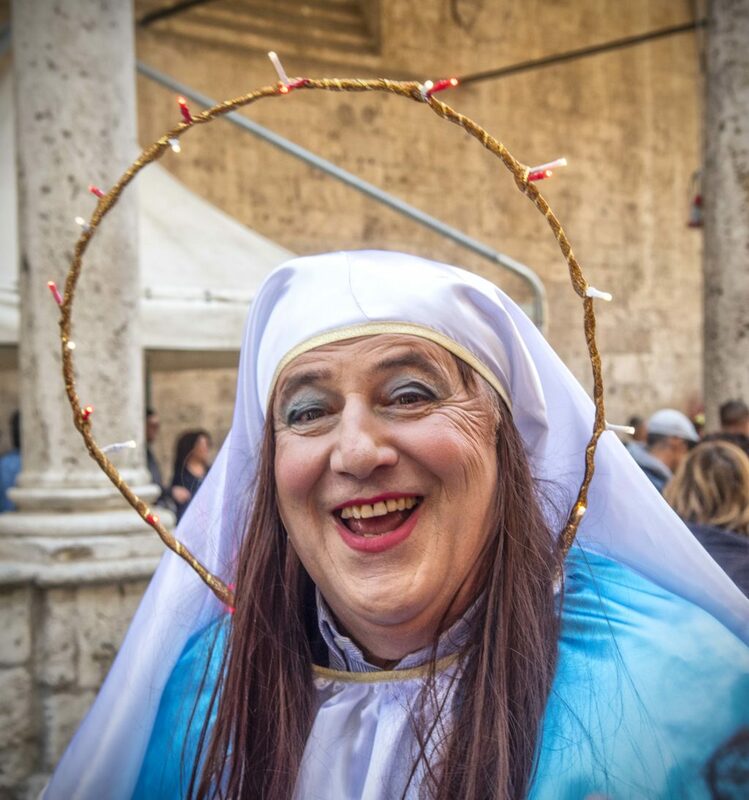 It is a curious artifact that with all its power, the Roman Christian Church was not able to eliminate what appears to be an even more ancient joyful rite of abandon speculatively suggesting, sensual indulgence in anticipating seasonal change – what we know today as Carnevale or Mardi Gras. 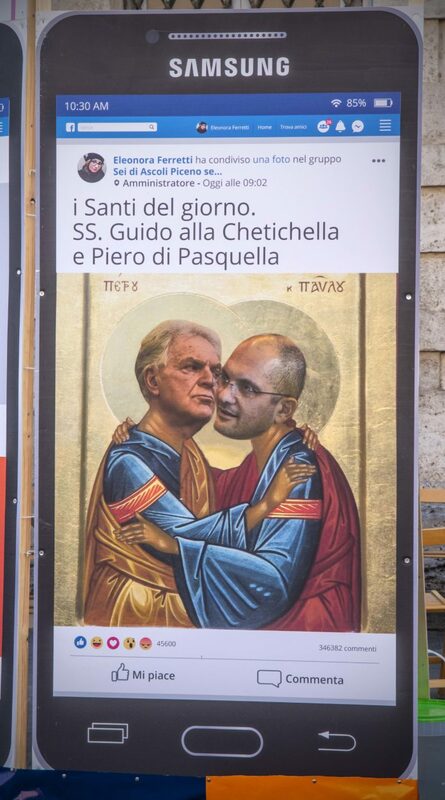 The most the church was able to do was to push Carnevale ahead of the pre-Easter observance of Lent. 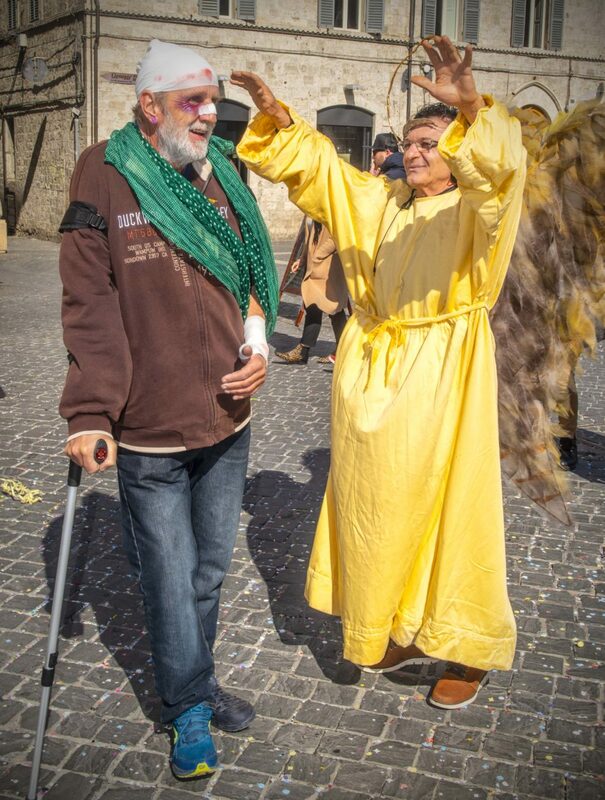 Nothing could be more antithetical to the theme of Lent in which the faithful needed to display penitence and a devotional need for redemption from the sins of indulgence in the deadly vices. 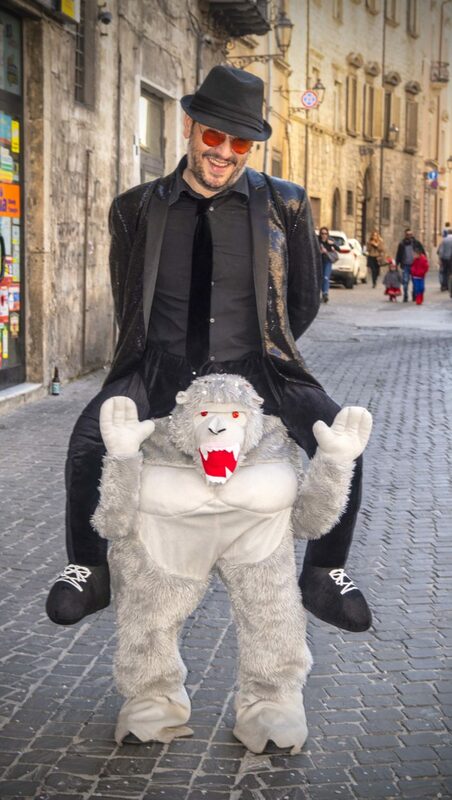 During Carnevale, no self-denial here. Restrained decorum and displays of humility – not anywhere to be seen. 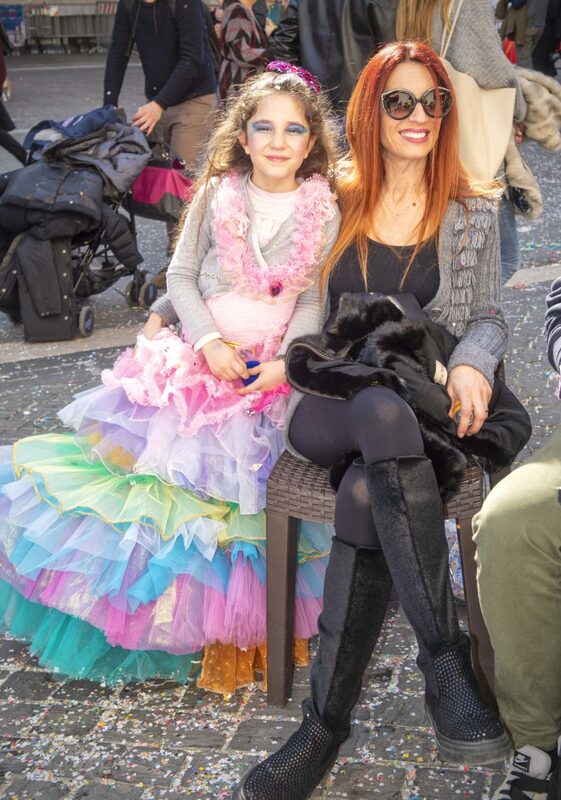 There is so much in Carnevale and Mardi Gras symbolism that is clearly much closer to pagan sensuality than Judeo-Christian piety. 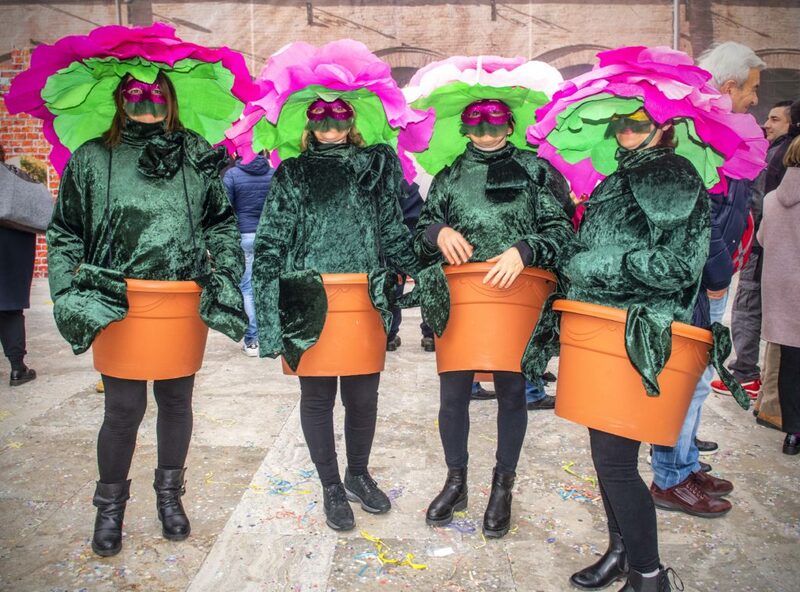 There may be some connection with some of the more sensual and ribald themes seen in Carnevale with ancient springtime associations with fertility. 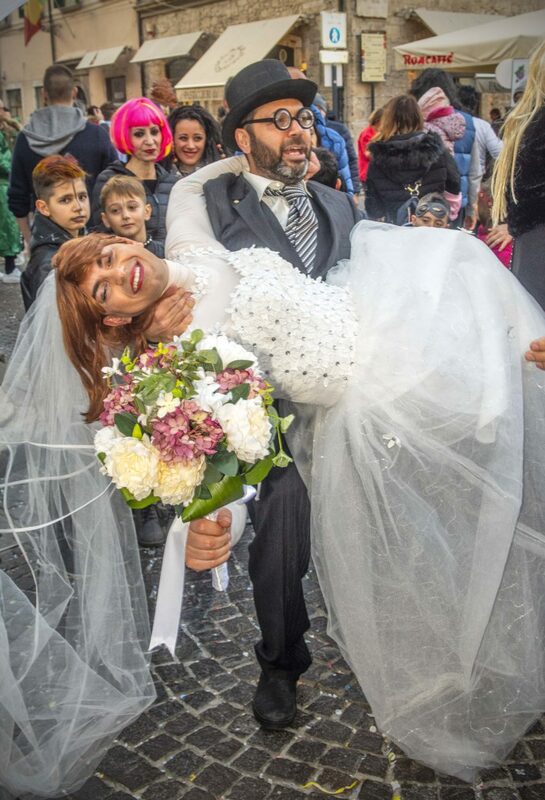 In some respects, the underlying curious duality that exists in Italian culture is illustrated by the contrast between the public piety on display during the observance of Easter and the self-abandoned sensuality inherent in Carnevale. 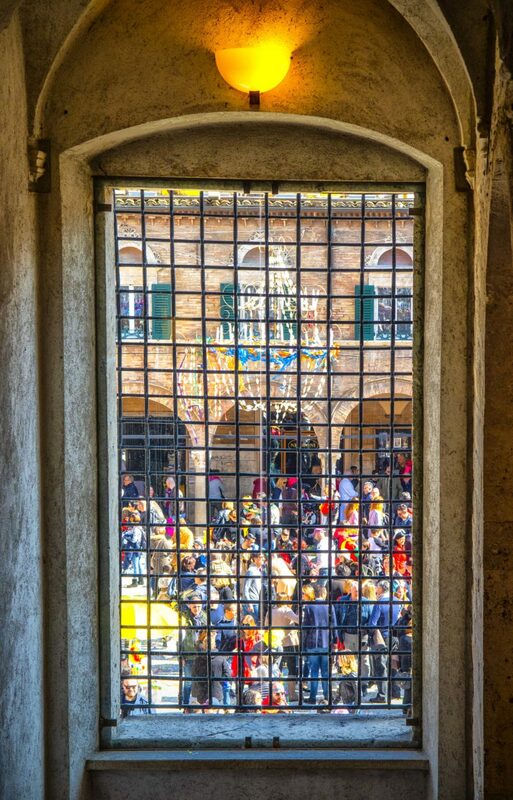 Culturally, many Italians identify themselves as Catholics. 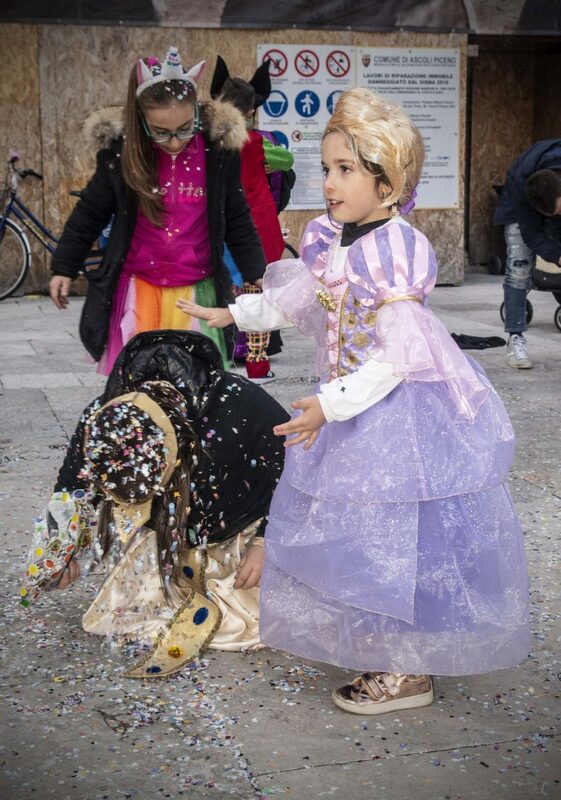 But under the surface, the Italian indifference to hierarchical authority comes to the surface and spills over in unabashed self-indulgence that is undeniable during Carnevale. 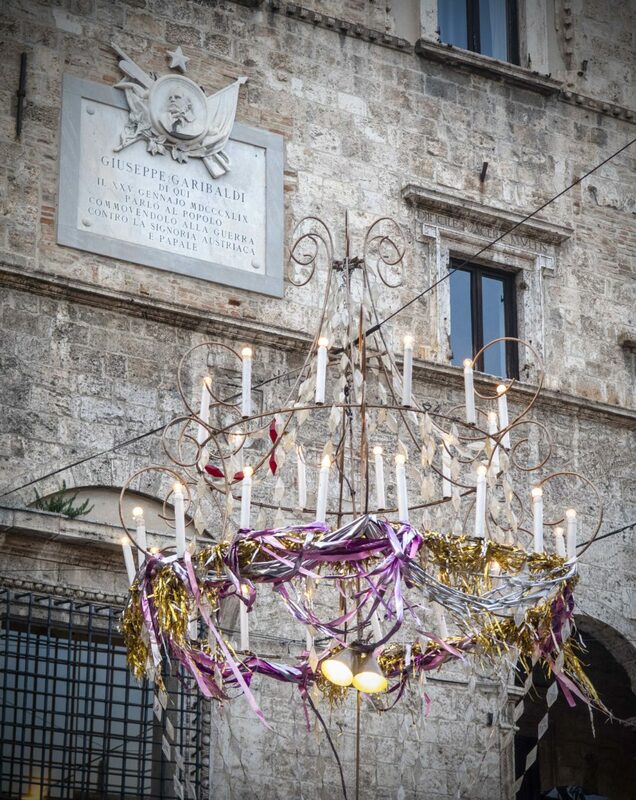 This year, the lunar calendar-based timing for Easter, preceded by Lent, initiated the Carnevale celebrations on the 28thof February until the 5th of March, the day before Ash Wednesday, otherwise known as ‘Fat Tuesday’. 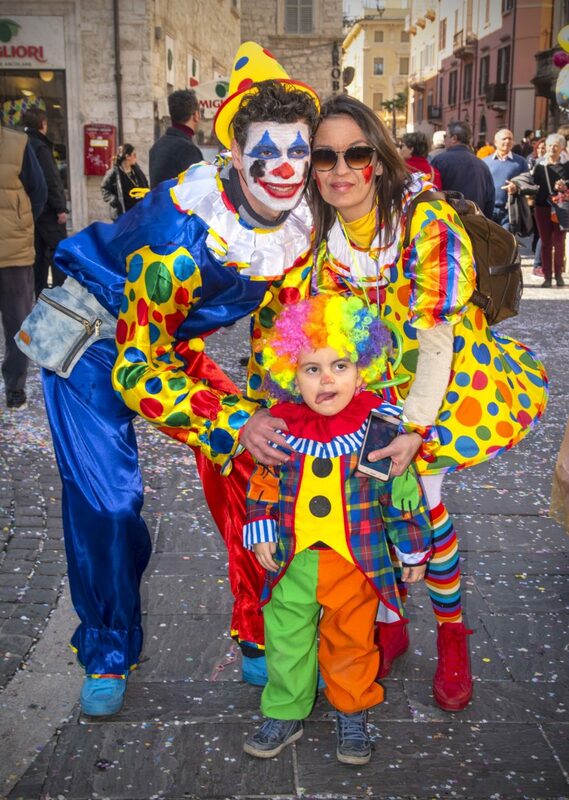 In keeping with the regional diversity that is Italy, Carnevale is celebrated and expressed with local variations in different places. 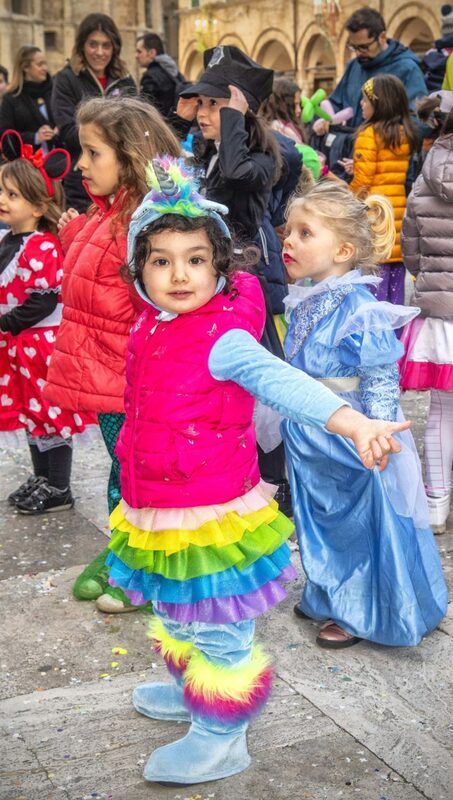 The Carnevale of Venice is renowned for the display of lavish costumes and an extravagant barge flotilla on the Grand Canal. 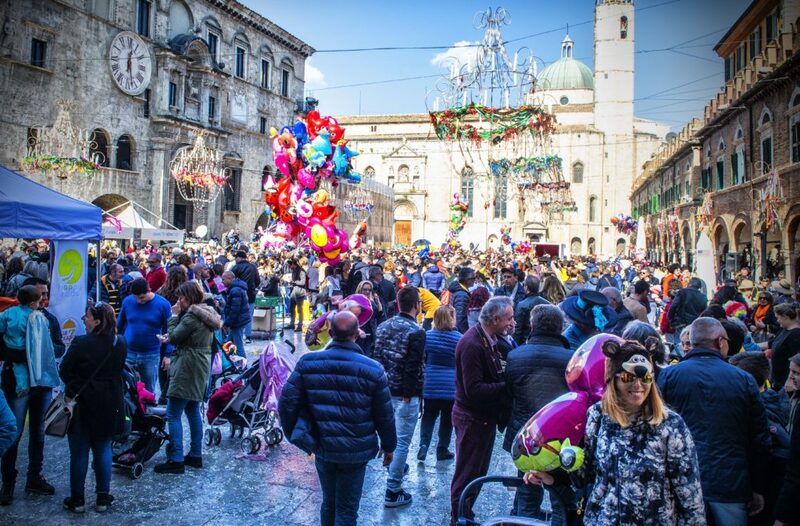 Here in Ascoli Piceno, Carnevale is a very special annual celebration. 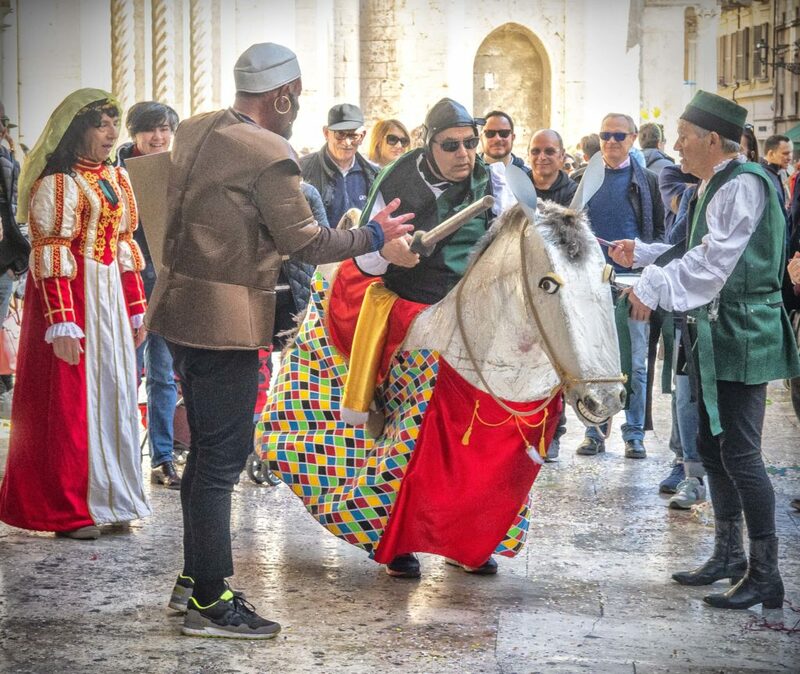 Carnevale and the medieval reenactment festival of the Quintana in mid-summer are highlights in a year of special celebrations. 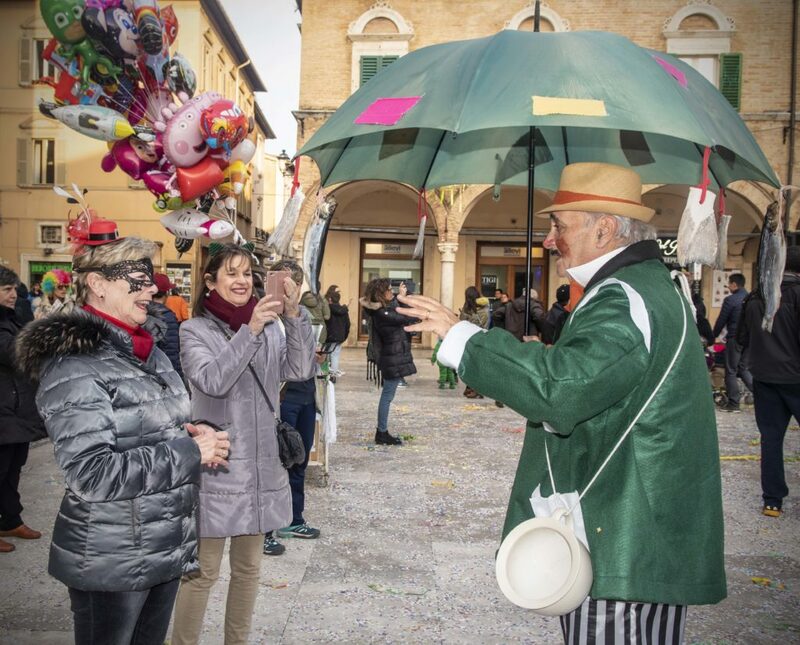 Our expat friend, Carmel, has arrived with husband Bob to take up residence in Ascoli and is participating in her first Ascoli Carnevale. She observed, “I don’t know how you can describe this experience to anyone who hasn’t been here”. It is not a stretch to say that superlatives fail. 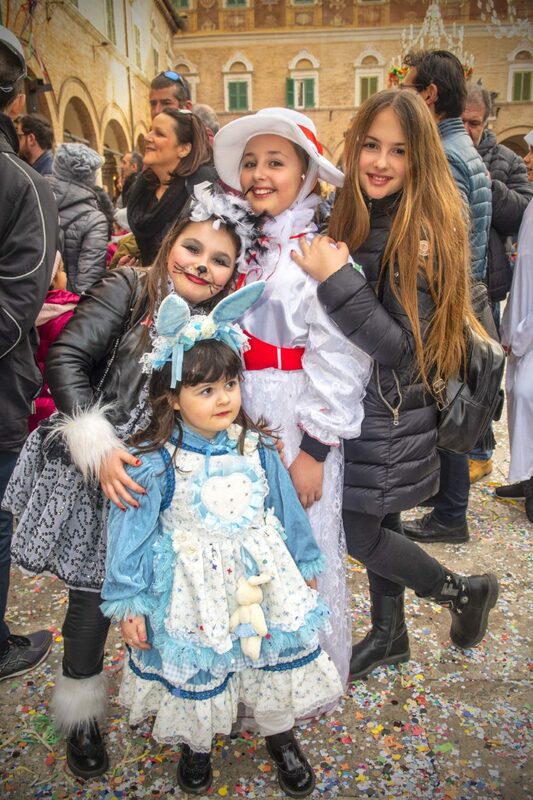 The Quintana and Carnevale each say volumes about the Ascolani and their sense of pride of place and feeling of close community connectedness. 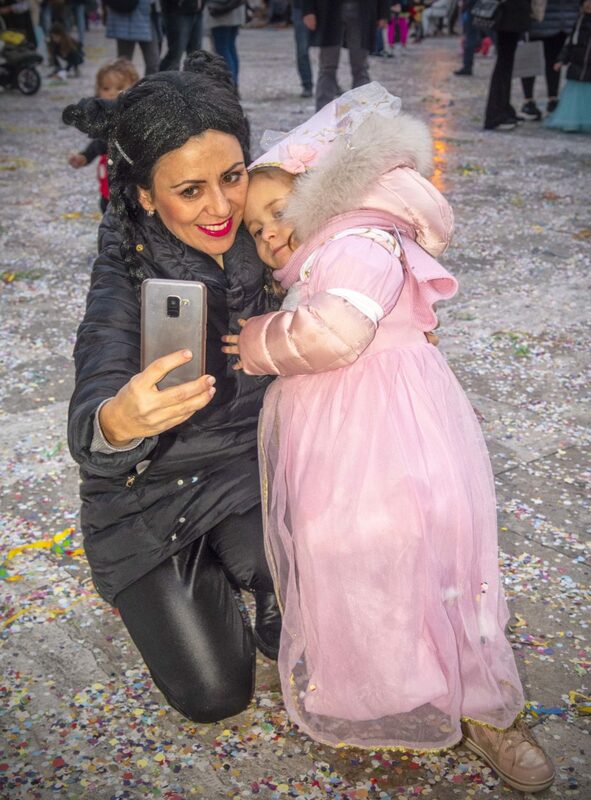 Symbolic of what is at the core of life in Ascoli, participation in the Carnevale involves everyone, young and old. 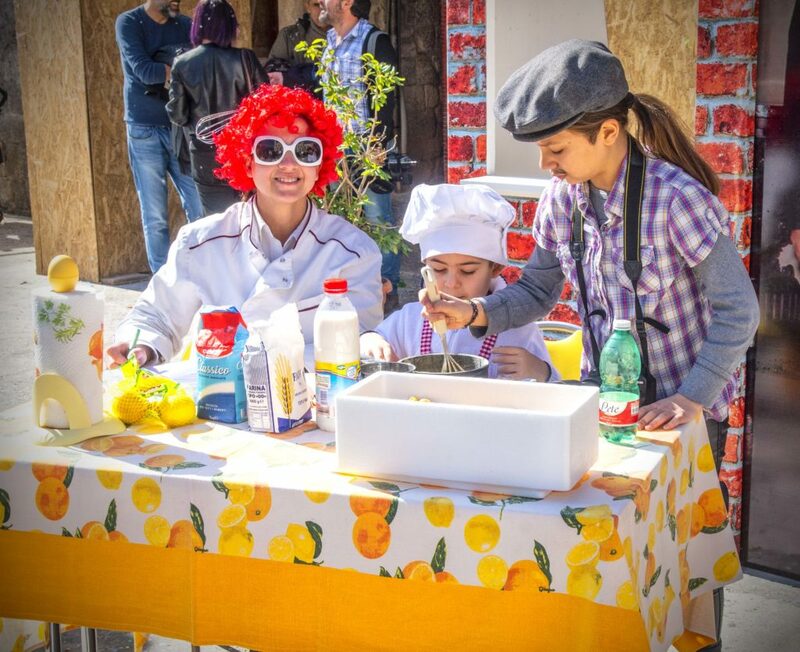 School lets out and there are special events for children on Thursday and Friday. 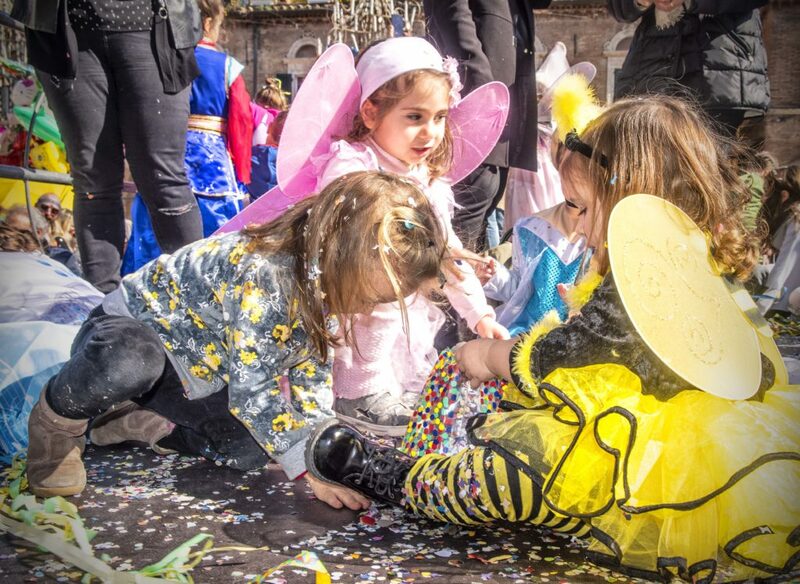 And when it comes to the adults, the imagination, creativity, enthusiasm and energy of these people display in raucous, good natured fun, is something to be seen and experienced. 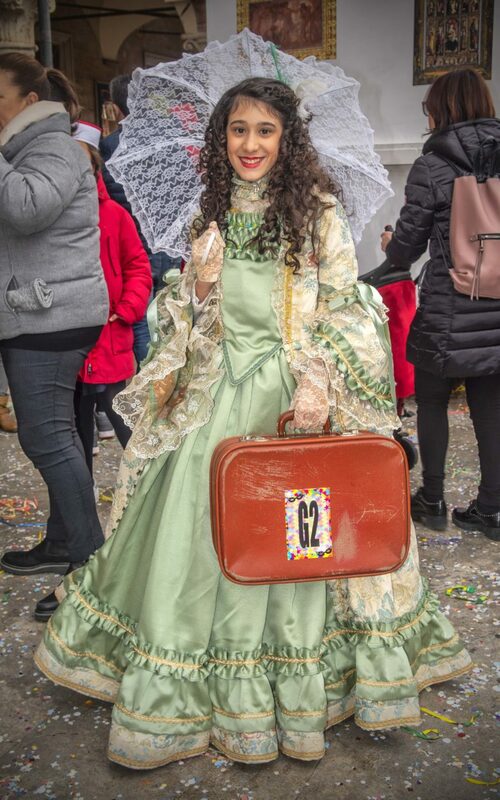 With the main events on Saturday and Sunday and again on the following Tuesday of Carnevale, the major squares are completely filled with people, young and old, participating in boisterous celebrations of totally irreverent fun. No subject, whether political, religious or ribald is safe from being lampooned. It seems to be active in public life here requires a very thick skin and an ego not overly sensitive to bruising. 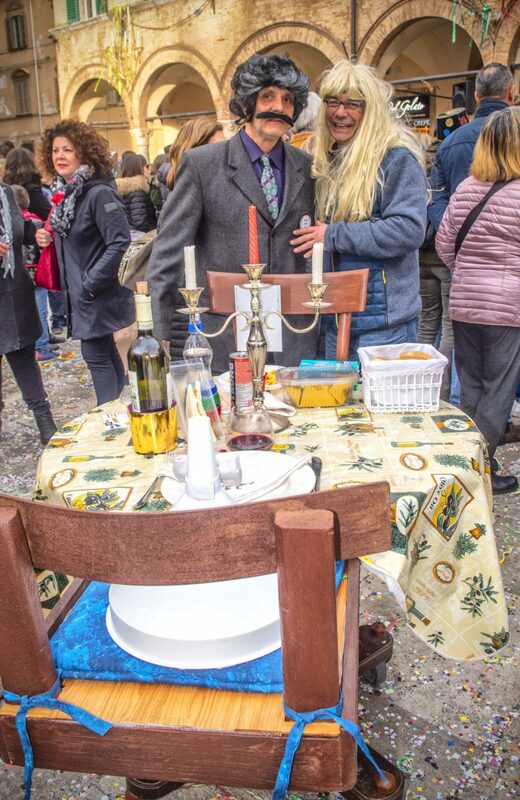 And then there are a number of complex theatrical pieces with sets, costumes and multiple layers of comic nuance all delivered in the local Ascolani dialect. 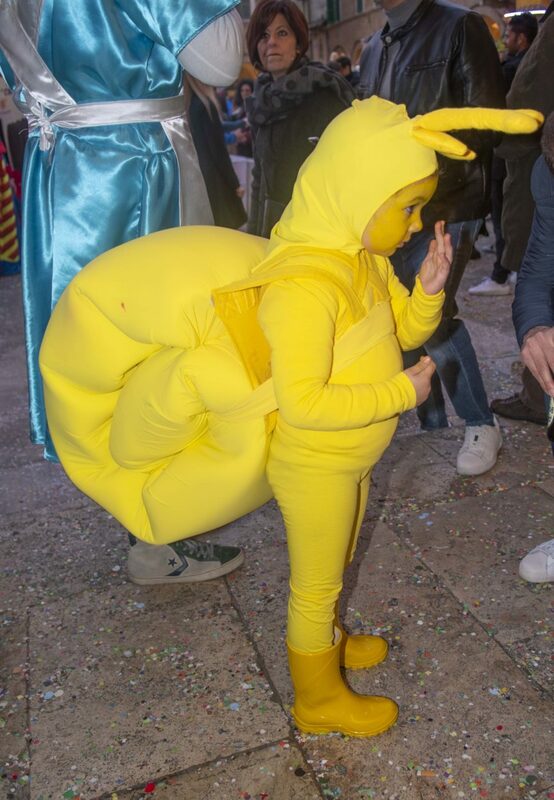 The effort that goes into these performance pieces is amazing. 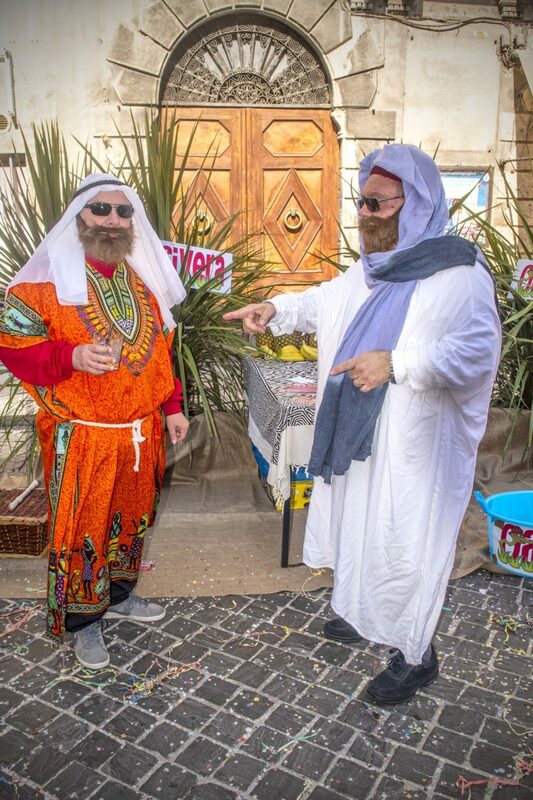 Any public event or policy which has drawn any criticism during the year is certain to be the subject of outrageous lampooning. 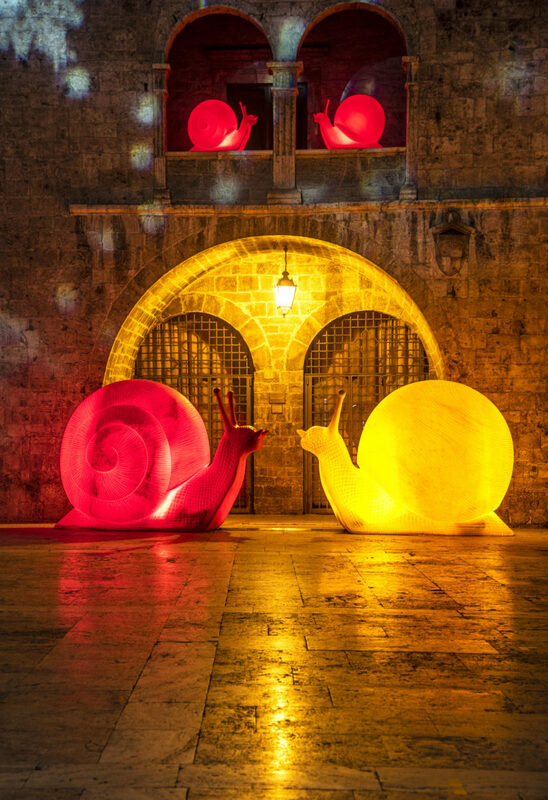 As predicted, the decision of the Comune during the Christmas celebration to also display a modern art representation of largely red colored, plastic animals, was bound to be the stuff of comic criticism. 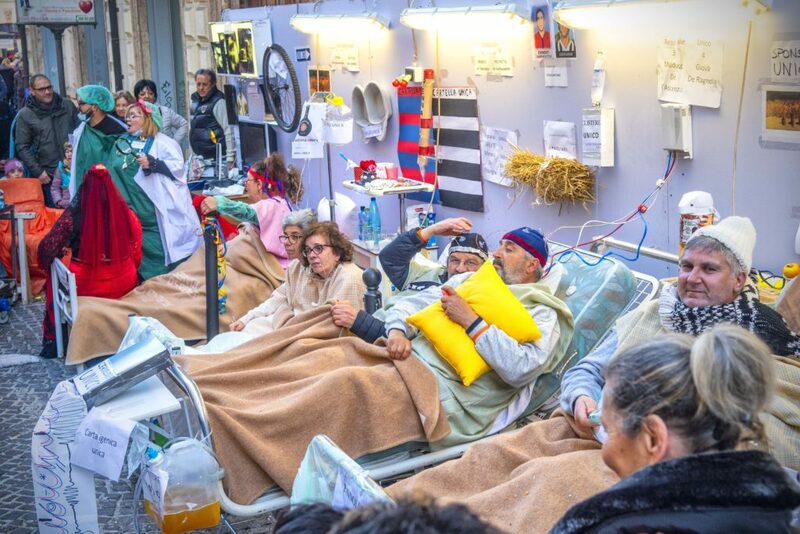 Among other themes was the controversial plan to build a new, large unified hospital complex for the Province outside of Ascoli. 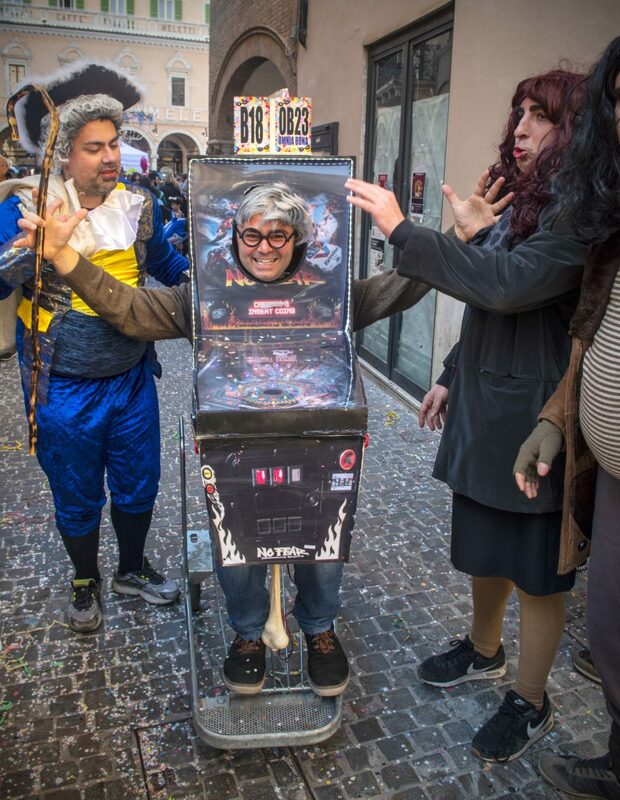 An anything goes atmosphere also has many men costumed in ‘drag’ and even some not very subtle phallic and scatologic references that could be interpreted as inappropriate were they to take place outside of the general environment of free-spirited, abandoned merriment that is at the core of Carnevale. A Freudian oriented psychotherapist would have a field day in the midst of all this. But that would just add on one more element to lampoon. I also have to add, with all that abandon and enthusiasm, in these very large crowds, we still feel very safe. 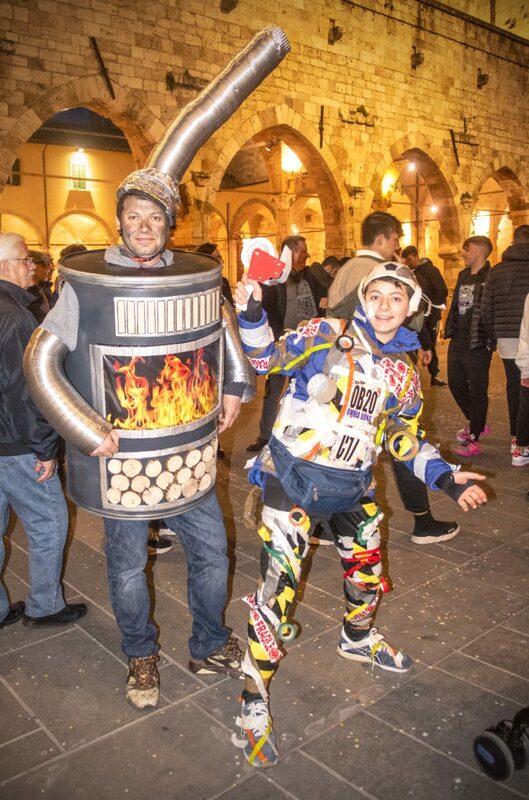 We simply have not seen the use of alcohol to excess or the kind of hooliganism that can mar celebrations elsewhere. Attempting to express myself through photography is a challenge in this kind of setting. 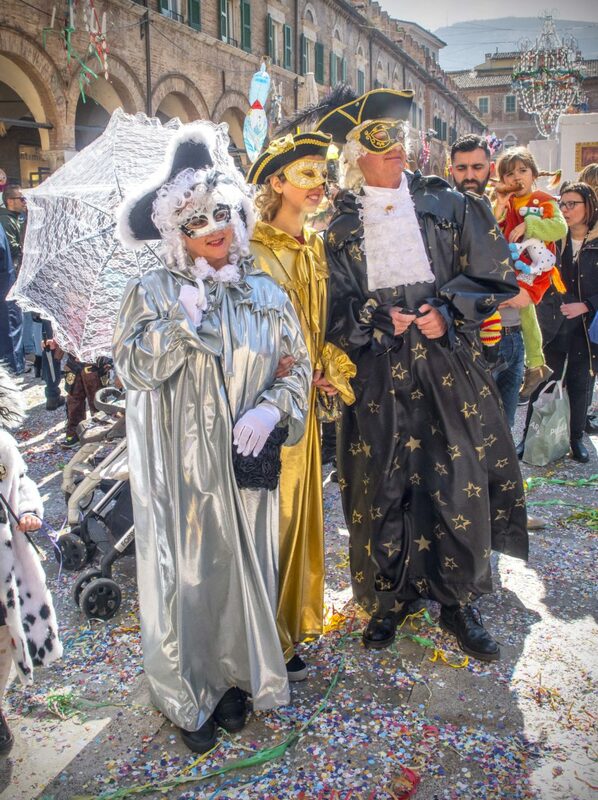 By the time Carnevale is in full swing late Sunday afternoon and on the ‘Fat Tuesday’ final day, the crowds are so enormous that getting a vantage point to try and capture what is happening is not easily accomplished. I have attempted to capture some of the group, theatrical displays to the extent that I could. But I acknowledge I have not done them justice. 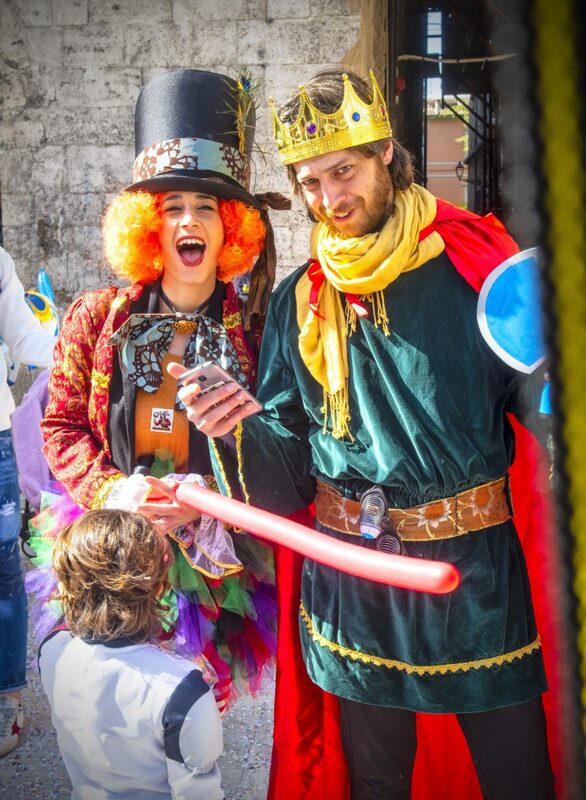 A preference I have gravitated toward has derived from my experience with the Quintana medieval festival in summer. 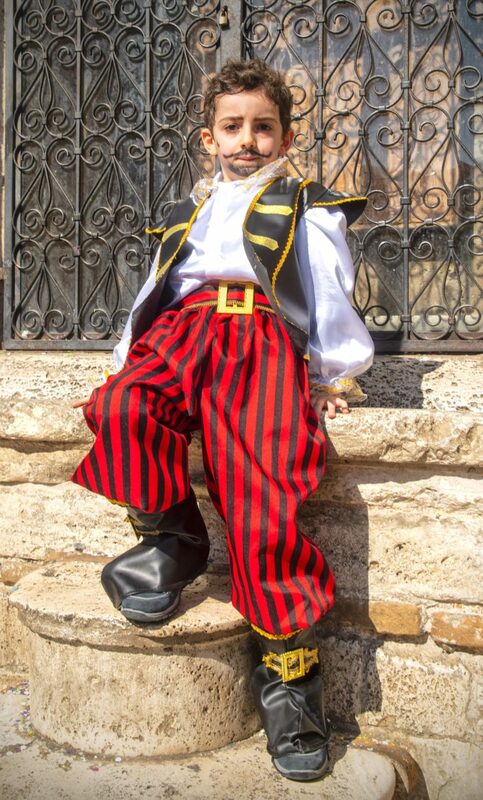 I have come to prefer mingling in a more relaxed setting with the costumed participants of all ages. I enjoy interacting with these good natured, enthusiastic people an attempt to capture more personal images of individuals and small groups. I have developed a preference for attempting to capture something of unique individuals. 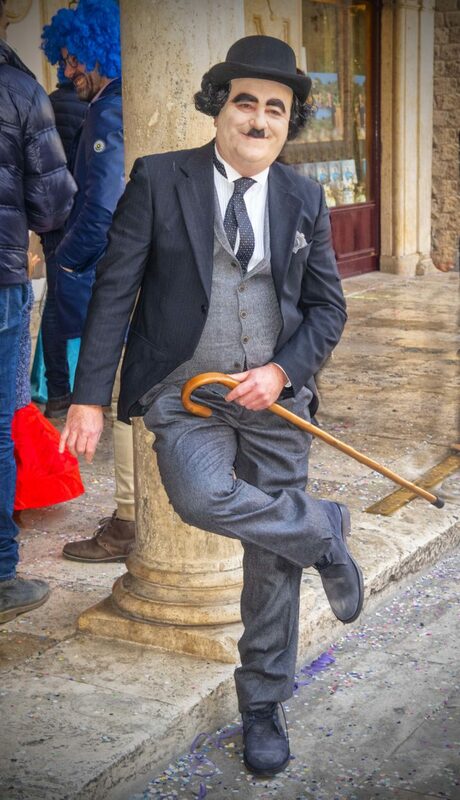 That is probably an extension of the joy we have experienced in getting to know individual Italians. In this Blog, some of the kinds of images taken with this approach can be seen under the heading Faces of the Quintana. 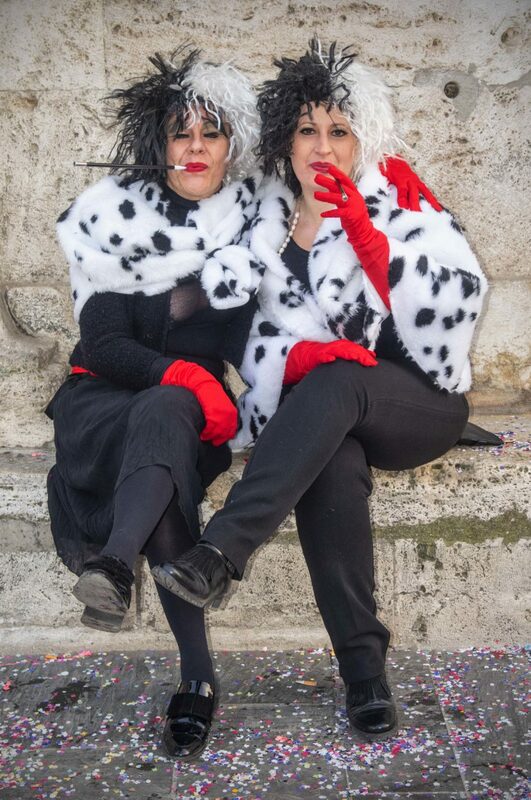 This year, we went to the main squares, Piazza del Popolo and Piazza Aringo, on the Thursday of Carnevale and again on Saturday morning as preparations were underway for the major theatrical productions to follow. 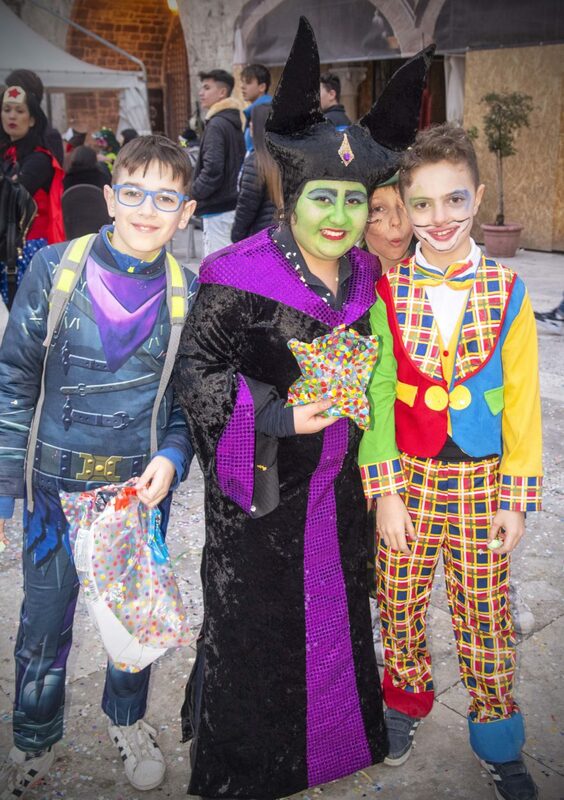 In the more personalized images I took are an attempt to show a diversity of age groups participating in the Carnevale events. 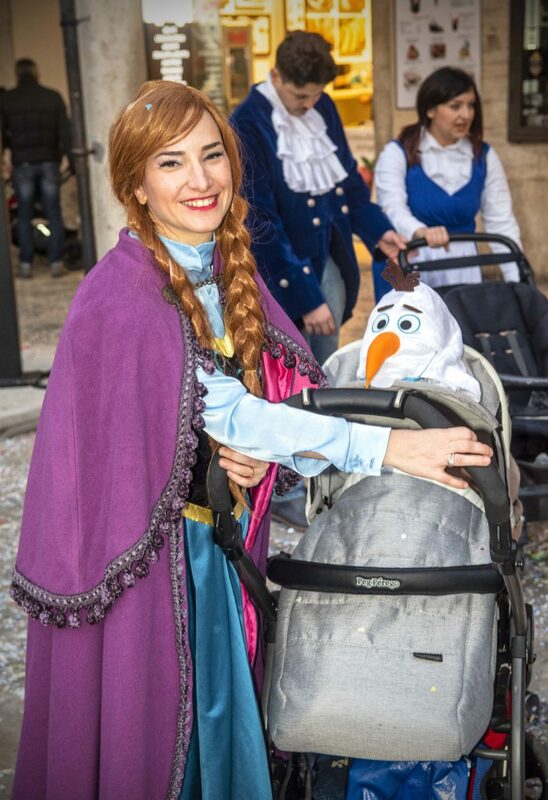 I was particularly interested in the proud parents who were actively engaged with their costumed children. 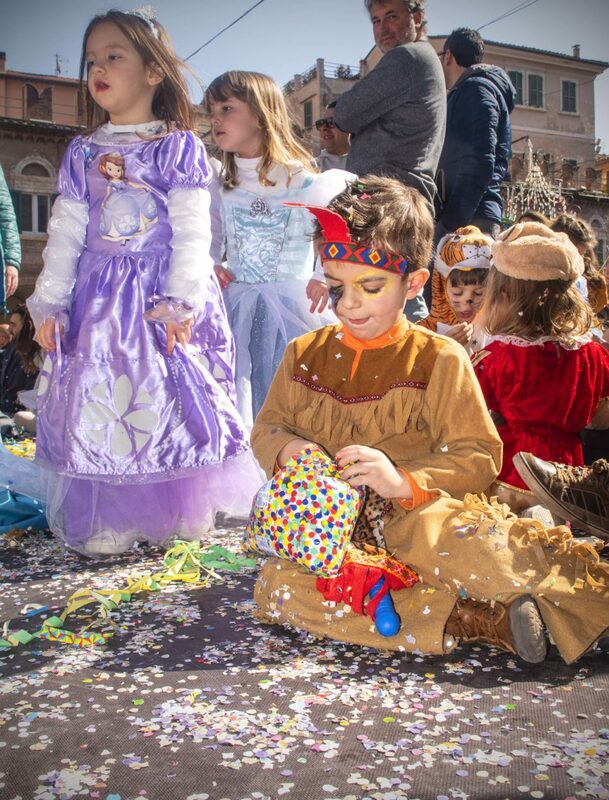 For Ascolani children, Carnevale is like Halloween on steroids. For that matter, the same can be said for the adults of all ages. 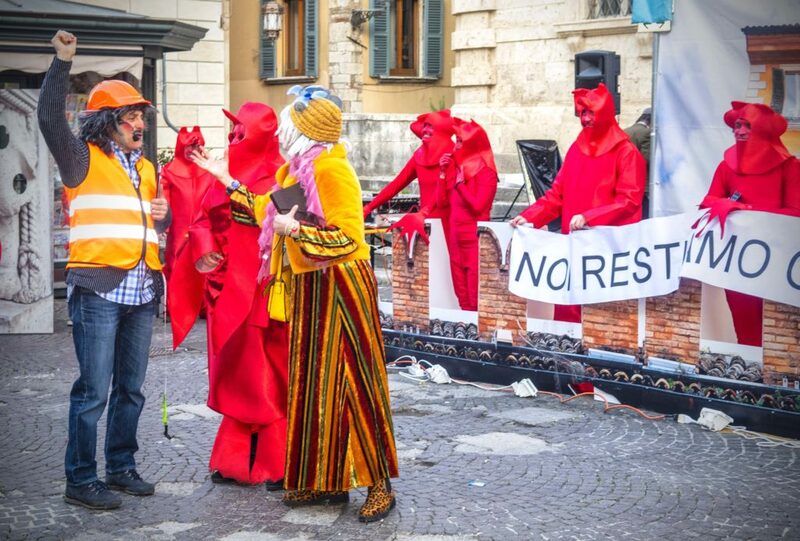 The Joust of the Quintana underway – stand clear! 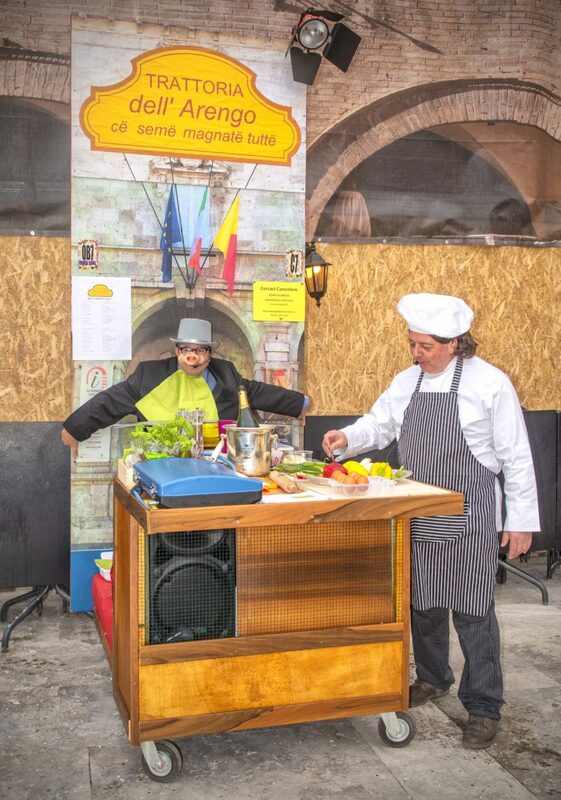 In Italy where food reigns supreme, how could you not feature cooking? 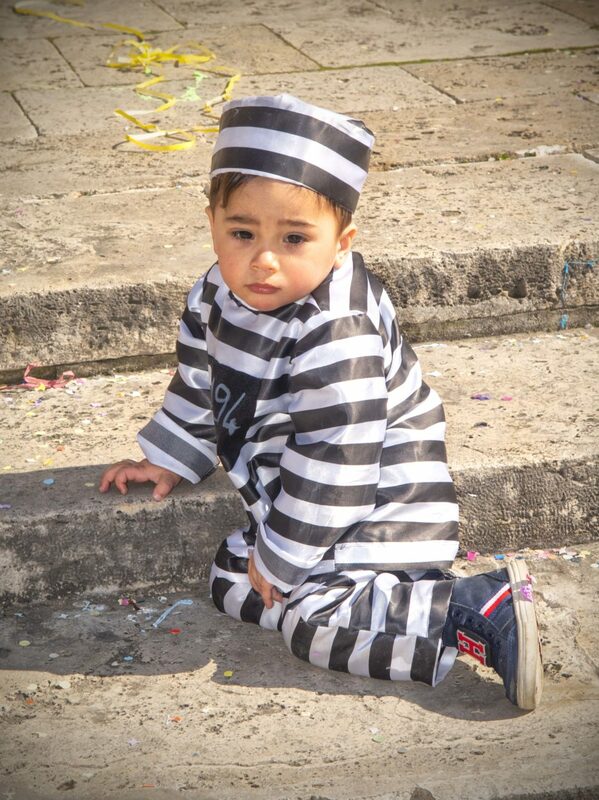 But, I’m innocent, I didn’t do it! 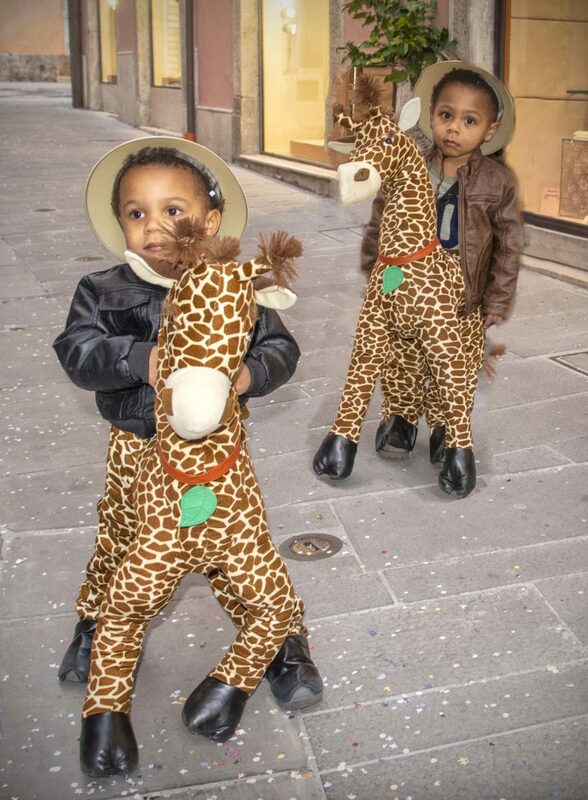 A Carnevale version of this . . . .
What wonderful photos Larry! Thanks for sharing. Wonderful…The images are hilarious. 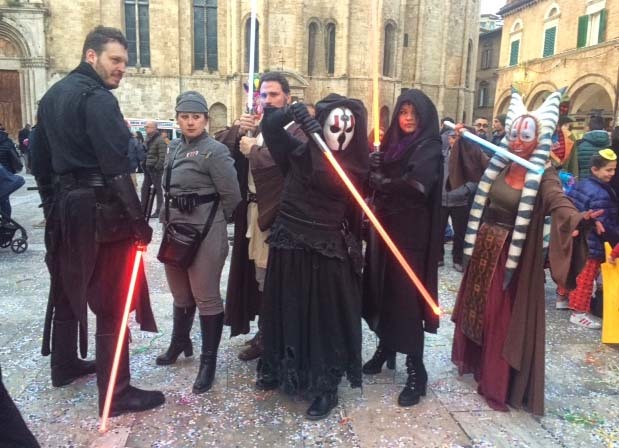 Love how Ascolians go all out when they celebrate…anything. The kids’ photos are just precious. Larry…thanks for sharing.